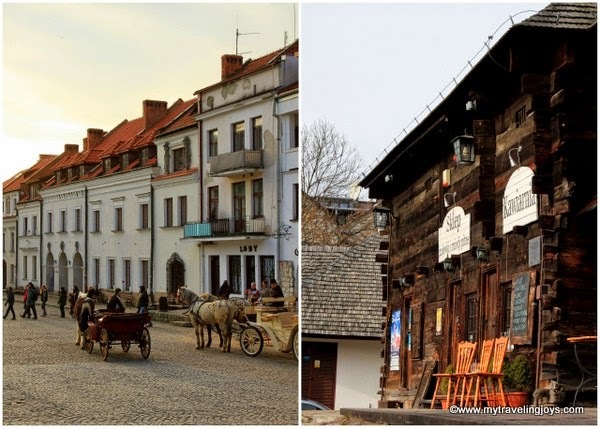 If you’re looking for a fantastic weekend get-away in a small, historic town, then head to Kazimierz Dolny, about 2 hours southeast of Warsaw. Kazimierz Dolny, or simply “Kazik” in Polish, is located along the Vistula River and offers something for everyone – spa hotels, a historic square, castle ruins, old churches and more. In February, we spent three days exploring Kazimierz Dolny, which dates back to the 11th century. Around 1181, Polish King Casimir the Just gave several villages, including the former Wietrzna Góra (Windy Hill) to a convent of nuns based near Krakow. The grateful nuns changed the name of Wietrzna Góra to Kazimierz, which prospered over the next couple of centuries because of its prime river location. At the beginning of the 14th century, Kazimierz was returned to the then king, Casimir the Great, who formally founded the town. Today, this picturesque town is known as an art center of Poland and you’ll find dozens of art galleries here. Stroll around the cobblestone streets surrounding the Rynek (old market) and the Small Rynek. On the weekend, we even perused a flea market set up here. Stop by the historic “wishing well” in the middle of the square. Left: the main Rynek with horse-drawn carriage rides. Right: the Small Rynek. 2. Explore the Castle Ruins. Originally built in 1341 as a stronghold against the Tartars, the castle was extended in the 16th century and embellished during the Renaissance. The castle fell into ruin after its partial destruction by the Swedes’ invasion and was abandoned in 1774. Climb up the watchtower for pleasant views over the city! Unfortunately, the castle walls are all that remain here. View from the castle's watchtower in Kazimierz Dolny. 3. Climb up the Hill of Three Crosses (Gora Trzech Krzyzy). This hill offers fantastic panoramic views of Kazimierz Dolny and the countryside. Bring your hiking shoes as the muddy hill is a steep and slippery climb in the spring, but the views are worth it! Legend says the hill is a memorial to the victims of the cholera plague, which decimated the town’s population in 1708. Meanwhile, some historians believe that the site was referred to as “cross mountain” long before the cholera epidemic. The Hill of Three Crosses (Gora Trzech Krzyzy). A rare photo of hubby and I together on vacation. 4. Visit the Old Churches. In particular, stop by the 16th century Reformed Franciscan Church on the nearby hill. The Franciscan brethren were compelled to leave the church twice in history: first between 1866 and 1928 when the tsar ordered the annulment of the order and later under the Nazi occupation. Location: ul. Cmentarna. The Franciscan Monastery and the attached Annunciation of the Blessed Virgin Mary Sanctuary. About a 20-minute walk from the Rynek, you’ll find a wall made from the recovered Jewish tombstones shattered by the Nazis and that details the tragedy of the Polish Jews. Behind the wall in the former Jewish Cemetery, you’ll also find several tombstones. For such a small town, there are dozens of art galleries. You’ll find many paintings of Kazik’s old buildings as well as still lifes, some modern art and handmade jewelry. Check out ul. Lubelska, and in particular, Grabski Gallery, where I bought a funky pair of silver earrings. Simply follow your nose to the delicious bakery of Piekarnia Sarzyński, ul. Nadrzeczna 6, and try one of its trademark bread-dough roosters or one of the other homemade pastries. If you have time, visit nearby Nałeczow – a charming, little spa town located about 23 km from Kazimierz. Take a stroll or soak in a mineral bath in Park Zdrojowy (Springs Park). You’ll also find some beautiful, historic wooden villas along the main street. Ice fishing in February in Park Zdrojowy. 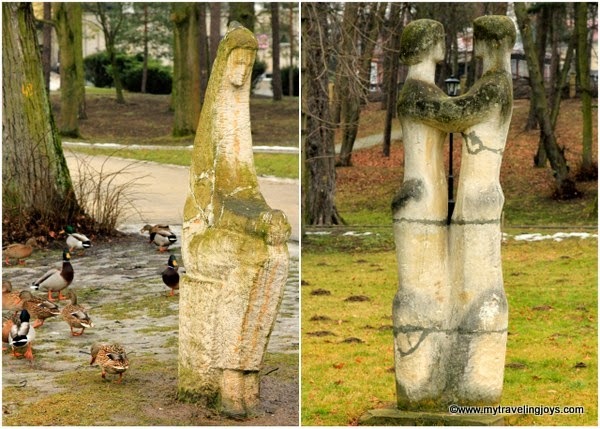 Some of the sculptures you'll find in Park Zdrojowy. There are a couple of hiking trails and gorges located around Kazimierz. Though we had difficulty locating them, we went hiking by one of the gorges not too far from the Wailing Wall. The last of the snow in February by Kazimierz Dolny. 10. Stay in a Spa Hotel. We stayed two nights at Hotel Krol Kazimierz, just a 15-minute stroll from the Rynek, as part of the hotel’s special Valentine’s Day weekend spa package. Our hotel room was very clean and comfortable. The spa area featured dry and steam saunas, a swimming pool and a multitude of spa services, which we fully enjoyed. The spa employees were friendly and most spoke English well. The breakfast buffet offered a nice selection too. A romantic weekend away in Kazimierz. Whether you’re looking for a daytrip or a weekend get-away, Kazimierz Dolny offers plenty to do for both options. 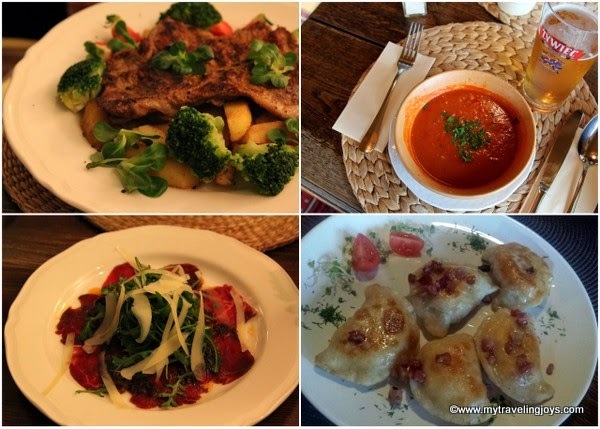 For Jewish and traditional Polish cuisine, try U Fryzjera, Witkiewicza 2. It’s located in a former barbershop and decorated with photos from the 1920s. They serve some of the best Ruskie Pierogies I’ve ever eaten. Zielona Tawerna, Nadwiślańska 4, serves Polish food and daily specials in a quaint setting with a garden and antique furniture. For good food and a nice ambiance for dinner, try Kwadrans, Sadowa 7a. There’s a real fireplace functioning during the colder months. You'll find a variety of Polish and non-Polish dishes at the restaurants here. I always wanted to Kazimierz, but never got to it. Anyway I hope I will get there finally one day. We really enjoyed Kazimierz, but there are so many other places to explore too! Sounds like a yummy Polish lunch! Smacznego! This was on our bucket list 3 weeks ago when we were in Warsaw for 4 days. But since my husbands foot was still really sore from when he broke a month earlier we figured it would be to much walking there. Oh, this is going to be even higher on our bucket list next time we make down that way! @Kelley, część! Definitely go next time you are in the area. Kazimierz is a lovely town even if you just spent the day here! I havent been in Kazimierz, but I have visited Warsaw this year and it is a great place. I found nice Mazowiecki Hotel http://hotelewam.co.uk/636-hotel-mazowiecki-warszawa.html with the good prices :) It was a great jumping off point to visit all of the most interesting places in the city- Old Town, Lazienki Park etc. 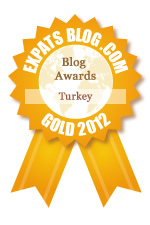 Tulip Time in Istanbul – Again!